Pr. 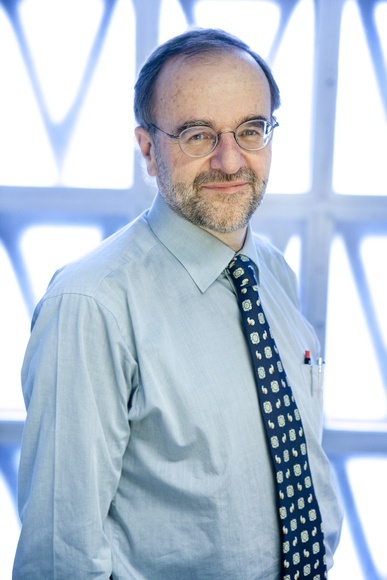 Louis Loutan, President of the Geneva Health Forum and Head of division of International and Humanitarian Medicine at Geneva University Hospitals. What was the origin of the Geneva Health Forum ? We had a pool of potential partners to discuss the major health issues, and we wanted to remain pragmatic and linked to the reality on the ground. The first conference was centered on the global market of health professionals, with the problems faced by countries which train their professionals, but don’t keep them because of low salaries, or poor working conditions, etc. In 2010, the theme was economic and humanitarian crises. This year our attention is focused on what we call ‘frontliners’, that is the people on the ground in the front line confronted directly by problems, who are having to find innovative solutions with whatever comes to hand, while trying to apply more global standards and policies. Another very important aspect of the next event is the subject of transmissible or non-transmissible chronic illnesses. To study chronic illnesses means following the patients for months, or years or even throughout their lives. We don’t go in for grand declarations – mostly they are not followed through. The forum is a place for debate open to everyone, it’s not only a debate for experts, but experts are present. There are people from international organizations, civil society, academics and industrialists who all have the opportunity to speak. In fact, no single sector can resolve all the difficulties. How do you measure the success of the Forum ? The most important indicator is the number of people who want to present abstracts. We received 400 proposals, 250 of which have been retained. A jury of 45 reviewers from all over the world (relatively few from Switzerland) share the task of selection. Each application is seen by three people. Sixty abstracts will become the subject of a conference presentation and a hundred others will be presented in the form of posters. Of course the number of visitors is also important – this year we are expecting 1000 people. What strikes you about the very first conference in 2006 ? What has changed with regard to perceptions, interests, major preoccupations ? One of the first interesting developments is the increasing power of the notion of global health - the health problems which have appeared across the whole planet. The idea of solving them all alone in one corner is laughable. It requires consultation and a coordinated, complementary approach. The Americans were very quick to propose the idea of Global Health. Clearly, we have moved from tropical medicine to international health and now to global health. Tropical health covers the field of illness in the colonies, like malaria, which threatened the colonies and was threatening to spread over here. It’s an old disease and has a very limited number of pathologies. International health addresses public health problems in emerging countries: malaria of course, but also tuberculosis, AIDS, malnutrition, measles, diarrhoea, lung problems – all major child killers. To read the full interview, order a copy of the magazine.